Hello again. my last post was a brief overview of the Plakhta costume of central and eastern Ukraine. 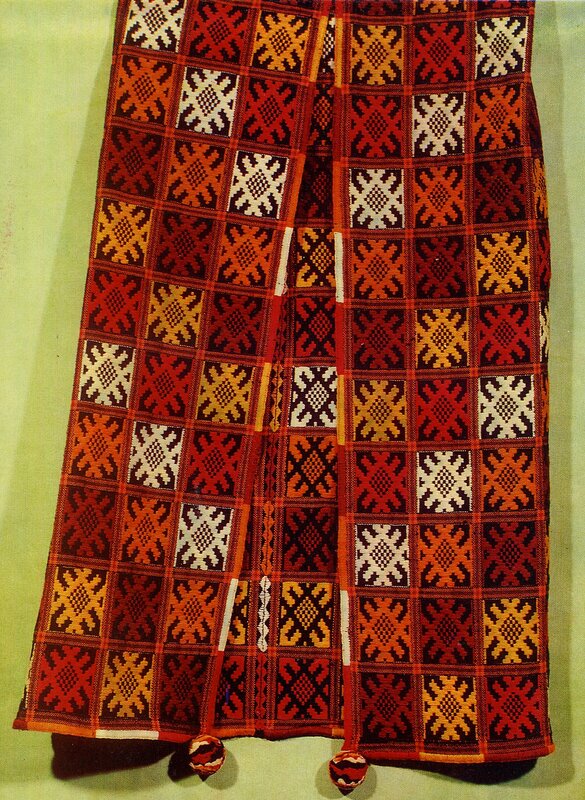 Now i will post various plakhtas to give you some idea of the intricacy and artistry of this form of traditional garment. 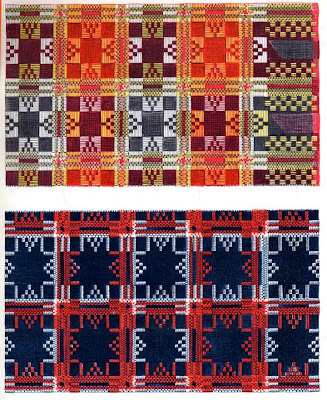 I myself am not a weaver, and i do not understand the technical details of how the designs are formed, or how the colors travel at a diagonal across the weaving, or other such questions. 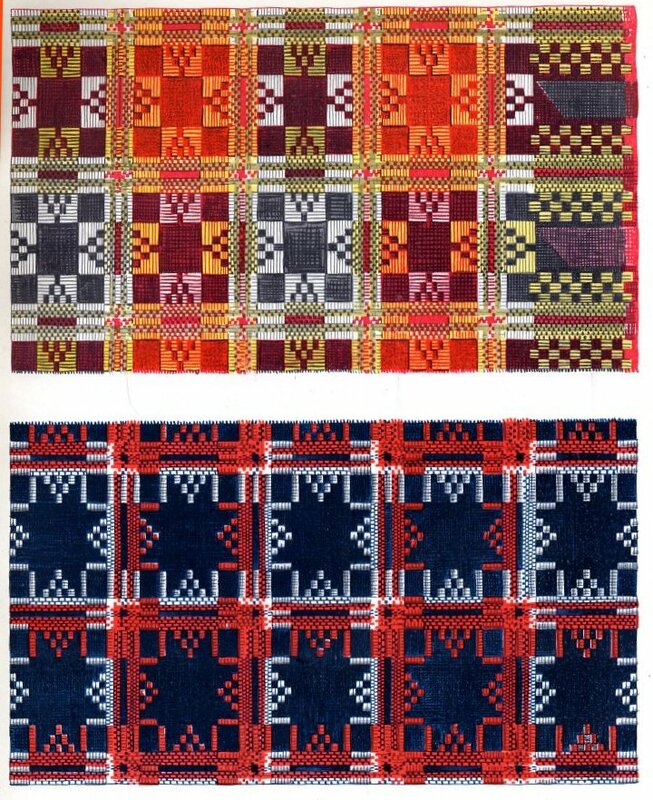 If a weaver sees this and is inspired, or will give us some insight i will be grateful. A fuller explanation of the Plakhta and how it is made and worn is given in my previous posting. 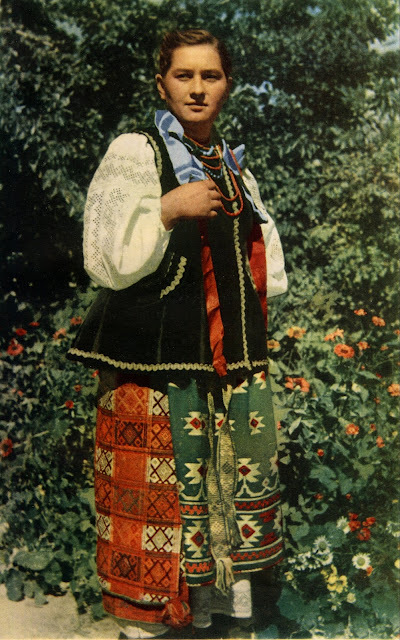 Here is a photo of a girl wearing a plakhta., along with a chemise with white on white embroidery and openwork, and an apron also with a beautiful woven design. Here is a closeup of the design and weaving of one plakhta. This one would seem to have the same design repeated over the entire field of the garment, but in addition to this fine detailed design, there are also larger compositions made by extending different colors and designs diagonally as in this plakhta. 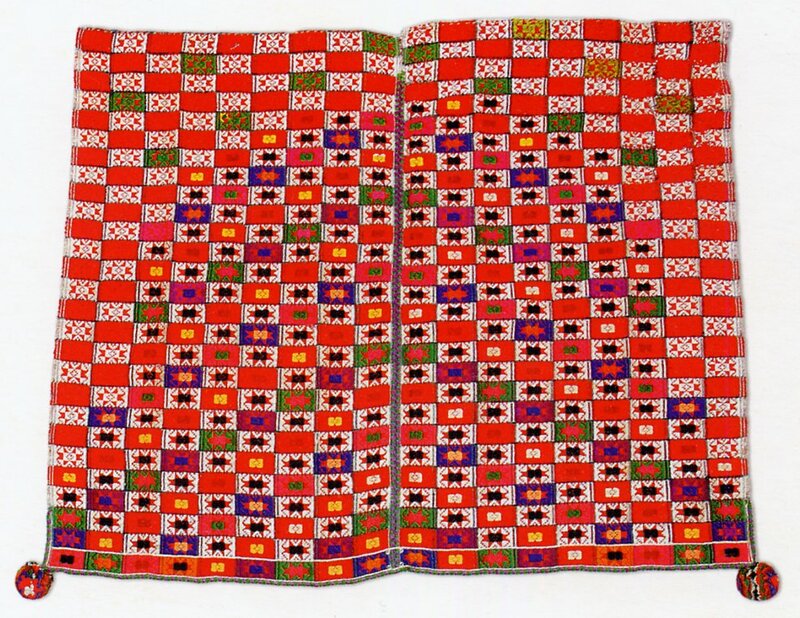 Note the decorative stitching sewing the two pieces of cloth together vertically, the outside edge bound with blanket stitch, and the pompoms on the lower corners. 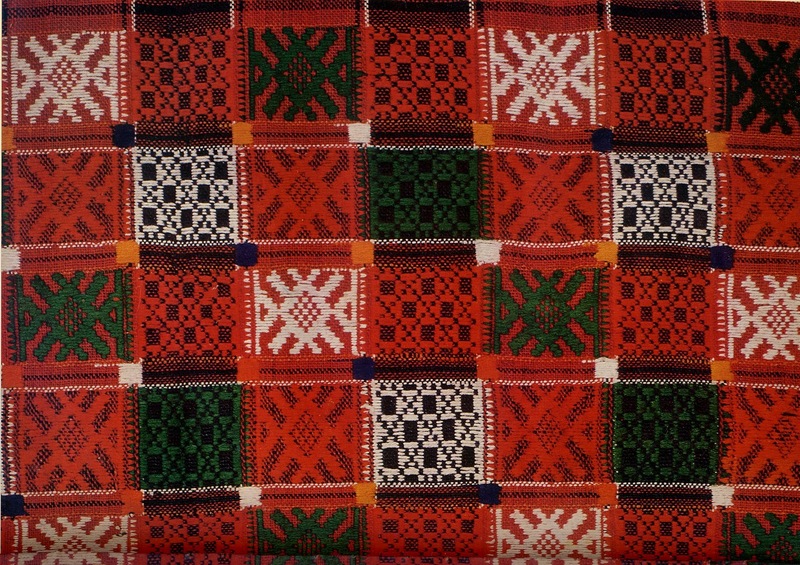 Here is another example of a diagonal design on a plakhta. here the joining stitch up the middle back and the blanket stitch binding the edges is clearly visible. Sometimes, as in the above example, all the squares have the same design, the composition being made only by the colors, other times as in this example below, there is more than one design woven into the squares. it can also happen that the larger composition forms diamonds, instead of simple diagonal lines, as in this example. Note that the blanket stitching is done in various colors to complement the design. Here are two more plakhtas, notice the difference in the texture of the design. 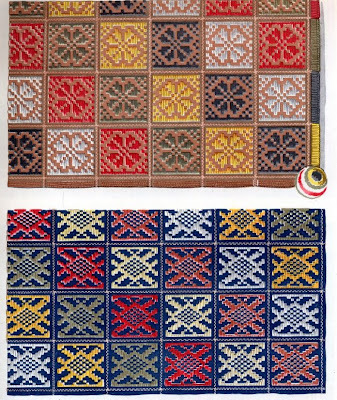 In the one on the right, you can see the decorative stitching that forms the center vertical line. This is flanked by a stripe formed of a column of squares of a different design from the body of the garment. Then there is a zigzag design formed by the colors of the weave. 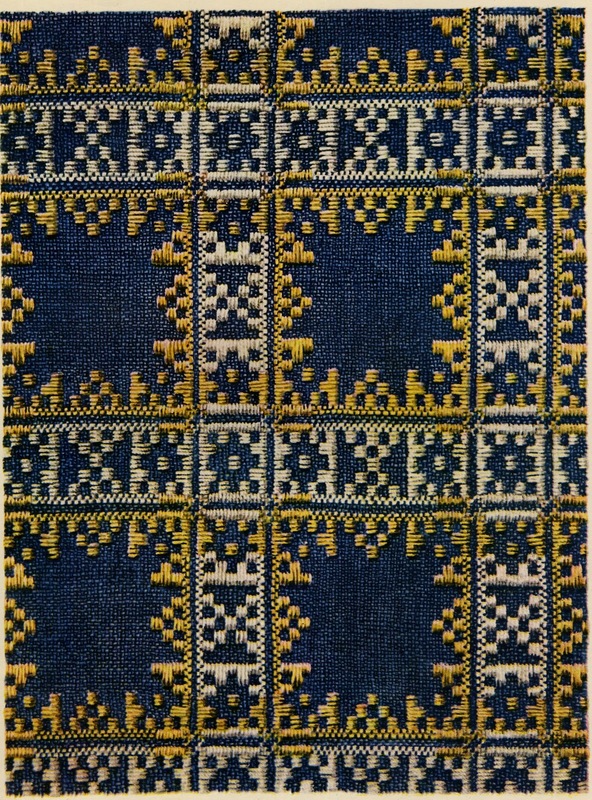 I will finish by giving some closeups of yet other weaving designs. It is amazing how much variety can be made out of the same basic concept and patten. Thank you again for reading. I hope this inspires creativity. And i hope you appreciate these lovely designs as much as i do. 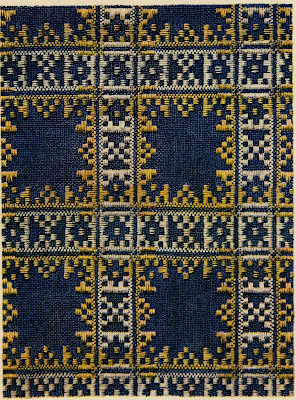 While I am not a weaver, I have done a bit of weaving and can give a very rough idea how the diagonal patterns are woven in. Looms have varying numbers of harnesses that the warp threads pass through from the front to the back of the loom. Each harness is connected to a foot pedal that raises and lowers each harness to create a space for the weft thread to go through. 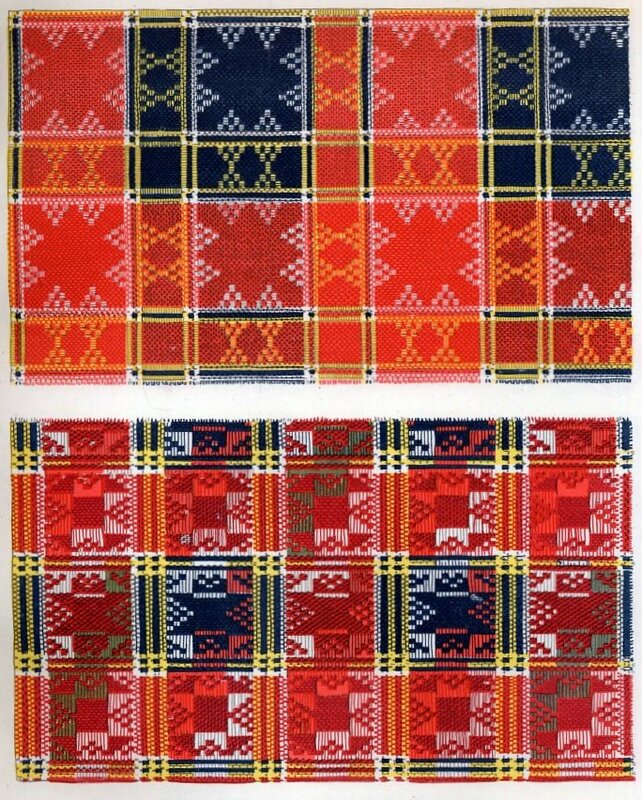 From the patterns, I would guess most of them were woven on a 4 harness loom. The harnesses can be raised in varying combinations to create the woven pattern. 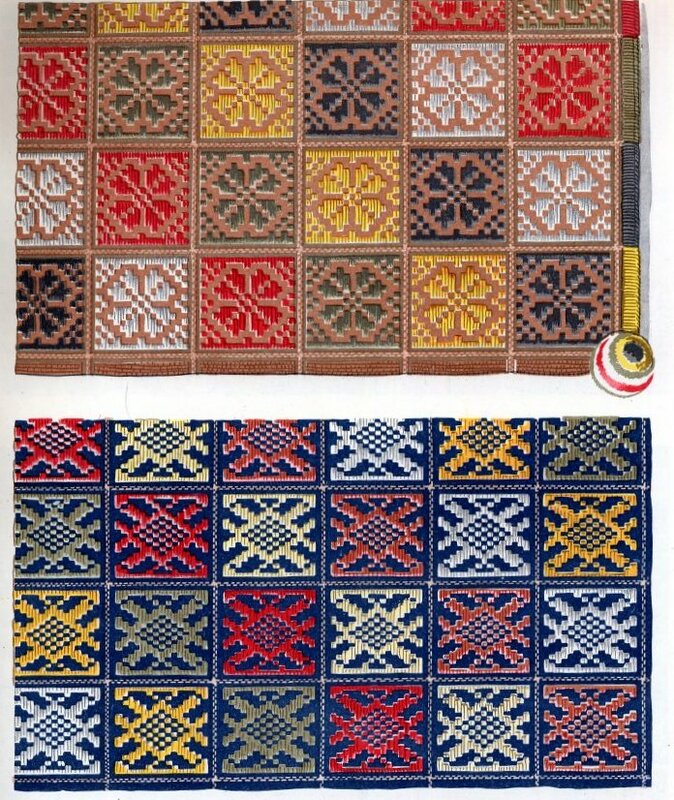 Some one with more knowledge of weaving would be able to give a more technical description, but most of these weaves are what are called "twill weaves". Thank you for your input. 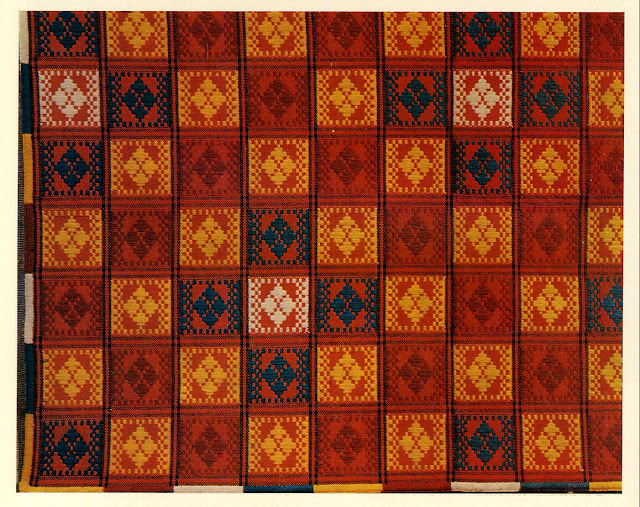 The designs are obviously supplemental weft, and were probobly made as you describe. 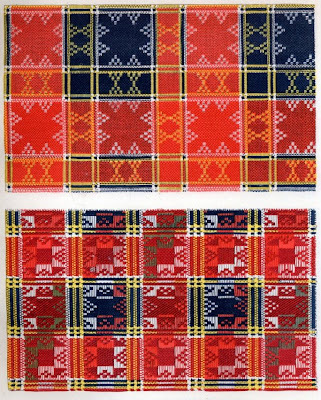 Notice that the designs tend to be the same across the weaving. It is the colors, and therefore the threads that travel diagonally, which i find unusual. Usually the threads would run across the piece. I would surmise that there is a great deal of hand control involved. 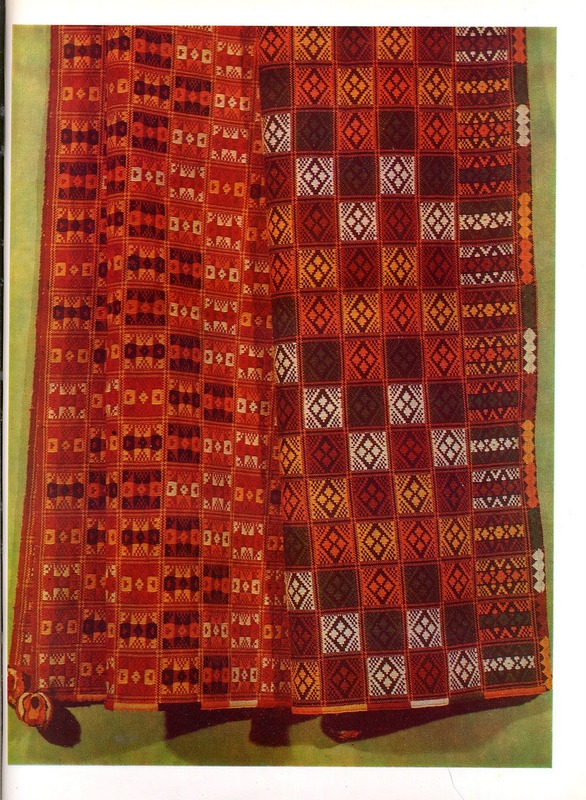 if we are talking about the same diagonal designs, the colored weft thread only appears to be running diagonally. It helps to think of the designs as little blocks of color and what appears to be a diagonal thread is actually stair-stepped through the web of fabric. Yes, exactly. That does not explain how the threads travel from block to block. Or perhaps they start and finish in each block, like a tapestry weave.